The stock made a double bottom few days back and has given first signs of turning around. Buyt at current levels for a target of 60/66. Interesting pick for long term investors too at current levels. 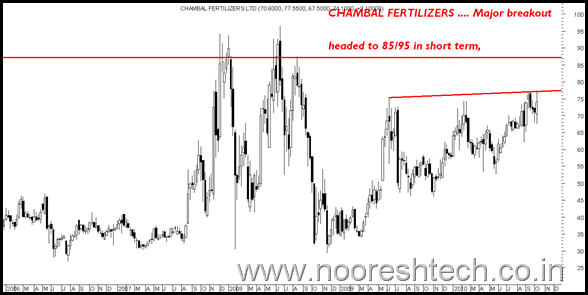 CHAMBAL FERTILIZERS --- Major breakout after testing the 78 mark for quite some time. 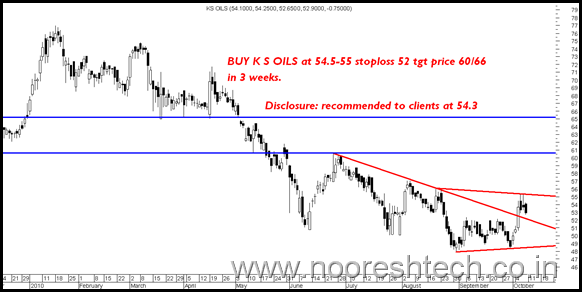 ksoil- what is ur long term target for the stock. iangl pattern in hotel leelas chrts.if yes wat can b the target. what the company ksoil do? is it an oil company? whats the long term target for ksoil? long term 70 only…can it not touch the previous high? can ksoil touch its previous high? How about powergrid? Bought 300@111 , its still near to the SL. Shanthi gears? Bought 200 at 47. Is there more upside left? Once I bought Sujana towers around 60+ and got stopped out at 58. Checked it after a long time to see it getting locked in UC continuously. Is it still a buy at current levels? Keep a stoploss on closing basis. Shift if you find something better. Shanthi Gears is an investment pick hold. Sujana Towers yes a major miss for us too though we got 10% moves twice on it. I would not be the right person to ask such a question 🙂 . But i would suggest you randomnly pick 5-10 stocks which are midcap good companies and some of them may become multibaggers in next couple of decades. Would U please suggest few good midcap companies? I have bought Mudra Life Style @ 53.5 and Provogue @ 79, can I still hold both of these? 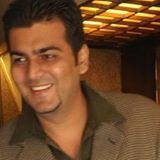 plz mail me for formalities & procedures from my side to become your client. I bought Dhunseri Petrrocem (DPTL) 2000 shares @ 190 i am not seeing much moment in these share is it short term pick or a long term to hold it pls suggest me…..
Hope the movement today woul dhelp you keep patience. I have clearly !! candidly and simple words stated its a long term pick !!! Sir IIP data is not as per expectations …. Will this afeect the market in a bad way ??? The IIP data is inline with the trend. It was b eyond expectations last time and now other way round. Breakout in general is on flat side line which is reliable KS Oil example is otherside.However N7 consolidation is best area to watch and then move in direction of breakout if it is strong may be buy on first dip. EKC can buy on dips.